So yeah, I don't seem to get to work GF Deluxe on my GF. I've downloaded the last release from this forum. I've put DATAUSR.LAB on my GF directory. I've checked "Load user patch" on the game's options. But the models are the same old ones. Any ideas on what could I be missing? 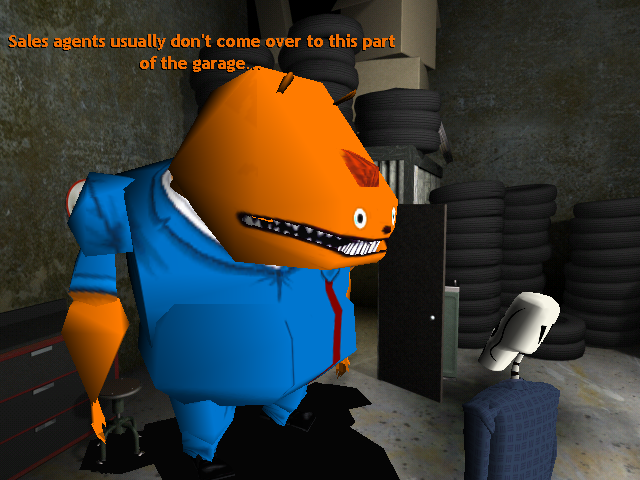 It seems the link from the original thread is missing the Glottis model, try this one instead. Please note, you might want to turn off the patch when you reach "Year Two", e.g. when you reach the casino, or Manny will have a blank face (the models past that point are yet to be retouched). Doh! Thanks for that catch, Nitrus. Updated the link in the main thread.